Joseph Cuschieri, 46, is a certified public accountant and a fellow member of the Malta Institute of Accountants of Malta. He is specialised in management accounting & finance and holds a Masters Degree in Business Administration from Henley Management College, UK. 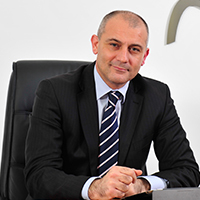 Prior to joining the LGA, Mr Cuschieri was chief commercial officer at Vodafone Malta, and a senior consultant with Ernst & Young. He has vast experience in economic regulation particularly in the electronic communications sector where he spent five years as chief operating officer at the Malta Communications Authority. In his new role at the LGA, Mr Cuschieri will be focusing amongst other things on reforming the Authority to make it more efficient and agile, strengthening the relationships with all stakeholders, strategically grow the remote gaming sector and promote Malta as a globally respected gaming jurisdiction.